Today I’m thrilled to have a chat with my very good blogging friend and fellow author, Bill (William D. Holland). This is a return visit, as Bill was also my guest storyteller in January of this year, when he shared an excerpt from his paranormal crime thriller Shadow Over the Hangman’s Noose, the third book in his “Shadows” series. Very exciting, being interviewed by someone I respect greatly, so thank you Sarah, and hello to my new friends across The Pond. Sarah has tossed a few questions my way, some softballs, some very hardballs indeed, so I’ll try to answer them all with my trademark bluntness and honesty. Bill, was there a defining moment when you decided to become a freelance writer, or did life decide it for you? Oh my goodness, Sarah, let’s see. I had always wanted to be a writer, dating back to my college days, but as trite as it may sound, life had other plans for me . . . and then I managed to get in my own way for a number of years, blocking any possible progress. So the turning point you are asking about came eight years ago when I realized that the teaching profession, after eighteen years, was not what I envisioned it being. It was moving in a direction I could not live with, and so one day I tossed my keys to the principal of the school and told her to have a good life. The next day I declared myself to be a writer. I had no financial safety net and not one clue how to actually be a freelance writer, but by God that’s what I told the world . . . I am a writer!!! Before you started your blog “Artistry with Words”, you had a blog titled “The Happy Life as an Alcoholic” and 5 years ago you self-published a 52-page eBook titled Loving life as an alcoholic. Why did you equate the words “happy” and “loving” with the alcoholism and what made you decide to kick the addiction? The second question is the easy one to answer: I decided to begin recovery because I was miserable and I didn’t want to die. It’s been over ten years now and I still don’t want to die. Happy and loving? Without alcohol dictating my every move in life, I am now free to enjoy life and love myself and others, and that’s what I try to do daily. I love life; always did when I was younger, and now that I’m not drinking I love it again. As a side note, I no longer write in that “alcohol” blog because I don’t want to be known as a writer who only writes about addiction. I’m so much more than a recovering alcoholic. I’m not a writer who writes about addiction, nor am I just a writer who is recovering. I prefer to think of myself as a spiritual being having a human experience. You’ve self-published 15 full-length books, although I counted 26 publications in all, if you include the shorter publications. Did you ever submit any of your works to traditional publishers, or did you decide to self-publish from the start? No, I didn’t start out self-publishing. When I began writing novels, my goal, and my dream, was to be picked up by a major publishing firm, and then fame and fortune would follow shortly after that. My first three novels were pitched to many, many publishers, to no avail. After that I decided the publishing game had changed, and my best chance at any exposure was to simply self-publish. I have no regrets, by the way. I love writing, so even if my circle of followers is relatively small, and sales are modest, I still get to do what I love doing, and that is writing and telling a story. And without trying to sound all Pollyanna, if I didn’t make a penny on my novels, I would still write them. So far I’ve read and enjoyed (in a nail-biting sense of the word) your novel Shadows Kill, which you describe as “Death Wish” meets “Silence of the Lambs” and is the first book in your Shadow Thriller series. Why does someone as mild-mannered, peace-loving, and gentle as you choose to write such dark and visceral fiction? There are two influences, actually. When I was a child the famous serial killer, Ted Bundy, was our paperboy (he delivered newspapers to homes in our neighbourhood). Once it was discovered that he was a serial killer, it was only natural to become fascinated by the dynamics of an evil human being appearing so normal, and Bundy did, in fact, appear very normal. I then became fascinated by the concepts of “Good and Evil.” What if there is a real entity of Evil? What if it invaded the bodies of humans and guided them on evil lives? And what if there were those among us who are chosen to fight Evil? That is the basis for my Shadow Series of novels. With which of your literary characters do you identify the most and why? That would be Tobias King, the main character in Resurrecting Tobias. It is as close to an autobiography as I am likely to write. Toby is me and I am Toby. A great deal of the story is fictional, but the spirit of the story, and the spirit of Toby . . . well, read it and you’ll catch a glimpse of me growing up, maturing, falling, and finally finding happiness. Are all of your novels set in your home town of Olympia near Washington? If so, how much artistic license do you take with the setting; in other words, would locals recognise the locations? And (you don’t have to answer this last bit) are your literary characters composites of people you know, plus bits of yourself? I would say 90% of my novels take place in Olympia. The only exception, really, was Resurrecting Tobias, which takes place in a number of different locations, but they are all locations I have visited or lived in. And really, I take very little artistic license with Olympia at all. Locals would most definitely recognize streets and actual businesses that I write about. Characters are definitely composites of people I have known, or do know. I’ve mentioned this before: I am basically a lazy writer when it comes to inventing characters and doing research for locations. I write what I know about almost all of the time, and that includes people. I’ve lived sixty-eight years and during that time I have met some fascinating people. This year you’ve taken a break from novel-writing to concentrate on self-publishing 3 colouring (coloring) books, which I believe have yielded some healthy local sales, especially at the farmers’ market where you also sell quails eggs and herbs. Why have you diversified into producing colouring books and would you advise other novelists to diversify rather than focus on one area of creativity? There were a few reasons for the coloring books. I wanted another item I could sell at the markets, so I did one for each of the two cities where the markets are located (their histories) and one about urban farming. The second reason was because I had spent the better part of the four previous years writing novels that were dark and gloomy, and it was affecting me in a negative way. I could sense my mood darkening and that is not a good thing for this boy. Alcoholics should not spend too much time in the darkness if it can be avoided. Finally, I switched gears because I felt my novel-writing was getting a bit stale. I needed a break from my characters and I suspect they needed a break from me. Would I recommend diversification? Definitely if you are a freelance writer who needs the income from your writing endeavours. And truthfully, I recommend a switching-of-gears for any writer from time to time. I think it helps a writer to grow when a new challenge is faced, and I think it helps a writer to remain fresh in his/her writing. Staleness is an easy trap to fall into, and a comfortable place to be. I’ve seen quite a few well-known authors fall into that trap, when they should have retired five years earlier. Who in your life has inspired and/or influenced you the most? You said “in your life” so my answer is about life in general, and that person would definitely be my father. He died many years ago, when I was nineteen, but the lessons he taught me are still with me today. I still miss him greatly and it’s almost been fifty years since I saw him last. His influence? Hard-work….focus….treating others with respect….never complain….find answers, not excuses….family and friends are treasures and should always be protected….get the most out of your talent and then push for more….these are things which will be with me until I join him in the next realm. There are three who have influenced me greatly: Harper Lee, James Lee Burke, and John Steinbeck . . . master storytellers, exquisite creators of scenes, and an ability to see the grimy, gritty underbelly of life, in very realistic ways, without glorifying it. I’m currently on the second draft of my next “Shadows” novel, this one called “Shadows Fall on Rosarito.” That will be the fourth in that paranormal-thriller series. And I’m halfway through the fifth in that series. The working title for that one is currently “Shadows Embrace Mary and Her Little Lamb.” Once those two books are finished I’ll get to work on a “coming of age” story about my life during the 60’s with my best friend Frank. It will be dedicated to Frank because, well, he’s dying of cancer right now and it’s important, to me, that he be immortalized. Good people always should be, don’t you think? Thank you so much for the questions, Sarah. I hope others find my answers interesting. If they want, they can find me on my blog at www.artistrywithwords.com, and all of my novels can be found on that blog as well as at Amazon under the name William D. Holland. Björn Rudberg is a blogger and a poet hailing from Stockholm Sweden. He has a PhD in physics but works with businesses in the tech-industry. He writes flash fiction and is a regular contributor to Friday Fictioneers. He manages an online community for poetry, dVerse (http://dversepoets.com), and is also one of the contributing toads at Real Toads (http://withrealtoads.blogspot.com). 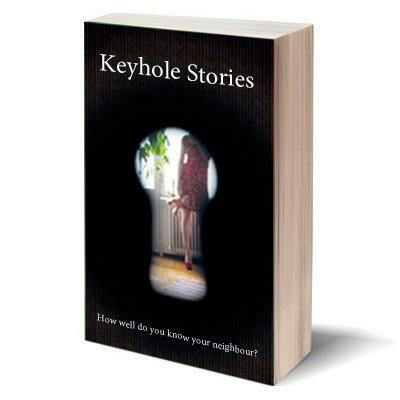 He is a member of a writing community in Stockholm that has produced one collaborative collection of short stories, Keyhole Stories, and is in the process of producing its second collection. 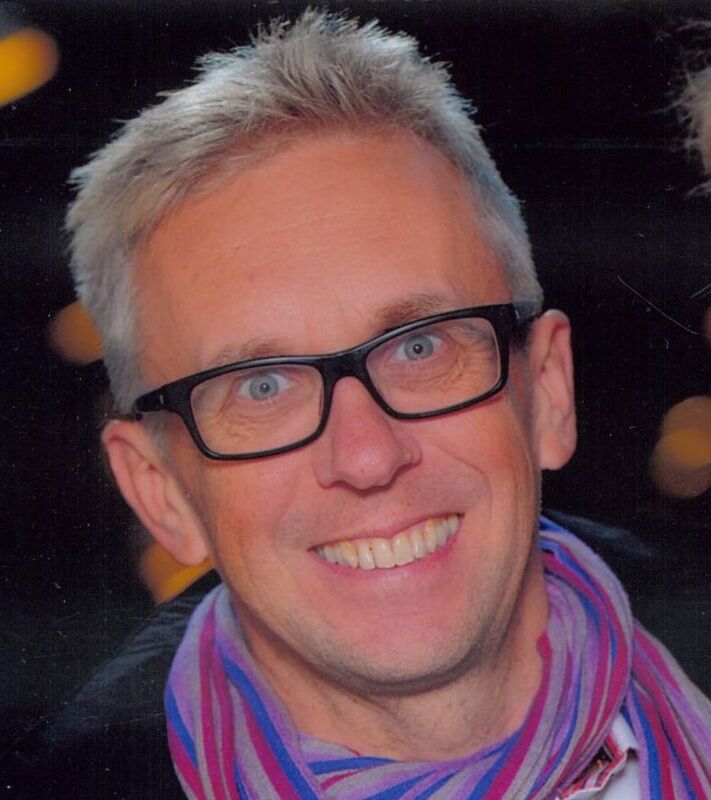 Sarah says: I’m delighted to welcome Björn as my guest storyteller this month. I first met him through Friday Fictioneers, where his almost weekly contributions have always impressed me. He’s an adventurous writer, who is happy to experiment with various techniques of storytelling, sometimes combining poetry and prose. Whatever he produces, he always manages to surprise and intrigue me, whether it’s dark, satirical, or on a subject he feels passionate about. Do visit his blog, Björn Rudbergs Writings after you’ve finished here, and I’m sure you’ll agree with what I’m saying. But enough from me. I’ll hand you over to Björn now, who will tell you what his story is about, and he has provided us with a soundcloud recording of his story too! Björn says: Writing flash-fiction is very much like writing poetry to me, I try to keep a rhythm in my language (actually it’s often close to iambic meter). I have chosen a story from last year that represents the writing I like best. The story is actually a parable about human trafficking where I have chosen Charon the ferryman as the trafficker. My boat is ready when they come in groups. Orphans, elderly, unshaven men and teenage girls. The mica in their eyes reflect the river; fear; and in their hands they clutch my fee. But there are those I leave behind. They sleep in tents, and call for help. They try in vain to trade their goods for coins. I have a small collection, bribes and trinkets, and my bed is always warmed by girls believing they can melt my granite soul. I am Charon and my fee is fixed; and worse than Hades is the nothingness of being left behind. 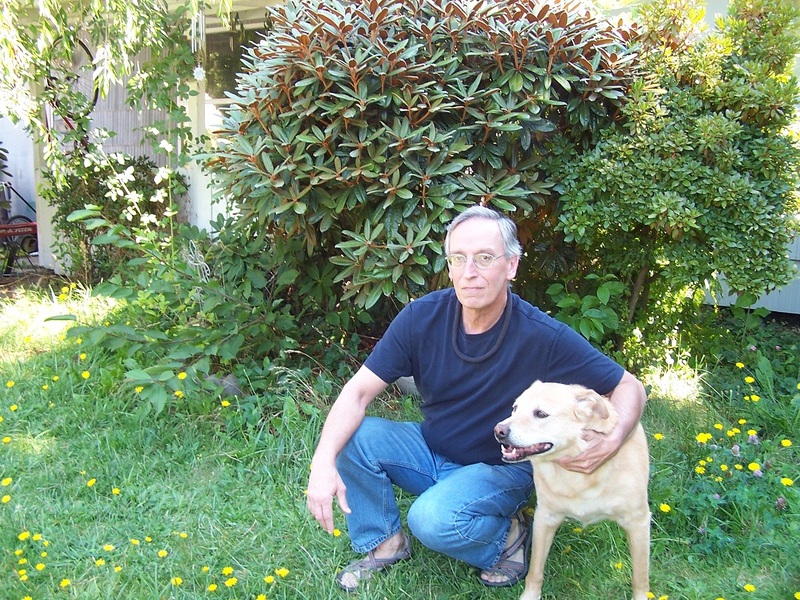 William D. Holland is the author of five full-length novels, one non-fiction book about the craft of writing, and five novellas in the “Billy the Kid” chronicles. He can be found hanging out on his website https://artistrywithwords.com/ when he isn’t tending to his urban farm in Olympia, Washington. Sarah says: I’m delighted to welcome as this month’s guest storyteller, one of my newer blogging friends, William (his WordPress username Billybuc). I really look forward to his weekly Tuesday posts that are always packed full of interesting and informative things. Eli Baker has dreams, and Melanie Hooper has visited him in one, along with four other orphans who are also missing. The search is on, and Eli Baker is the right man to delve into the case of the missing orphans; however, Eli soon finds that evil acts are not only performed by evil men, but by Evil itself. “I’m no psychiatrist or psychologist. I don’t know a damned thing about how the human mind works, why one abuse victim will become a counselor while another will become an abuser, why serial killers snap and feel a need to destroy innocence, or why one day a soccer dad buys an AR-15 and unloads a magazine in a crowded mall. All I know is the aftermath stains us all forever, and the whys will visit us in our dreams until the day we draw our last breath. The second case I had as an army investigator was a child abuse case, a little nine-year old girl in the hospital for a broken arm, doctors and nurses suspicious about bruises on her upper arms. They made the phone call that dragged me out of bed at two a.m. on a muggy night near Fort Hood, Texas. The girl, curly blond locks pasted to her forehead, her mother holding her good hand, her two sisters standing nearby, told me she fell down the stairs and she was so sorry she bothered everyone, and mom nodding and saying her daughter was just clumsy like her mommy, laughing with a little too much nervous energy to appease me. I coaxed an address out of the mother, drove to the off-post housing and found dad, a master sergeant, sleeping the sleep of the innocent. He wasn’t too happy, me waking him up, and he was even less happy when I mentioned the bruises on his daughter’s arms, and he was downright pissed when I asked him if he had anything to do with those bruises. He pulled his right arm back, fixing to turn out my lights with a massive punch, and I snap-kicked his kneecap. That was ten years ago. The master sergeant is still in prison on three counts of child abuse, a history of beating his three kids in some confused attempt to quiet the demons only he could see and hear. From “Shadows Over A Hangman’s Noose,” the third in the “Shadows” series, available in hard copy and Kindle at Amazon. Sherri has been writing full-time since 2011. 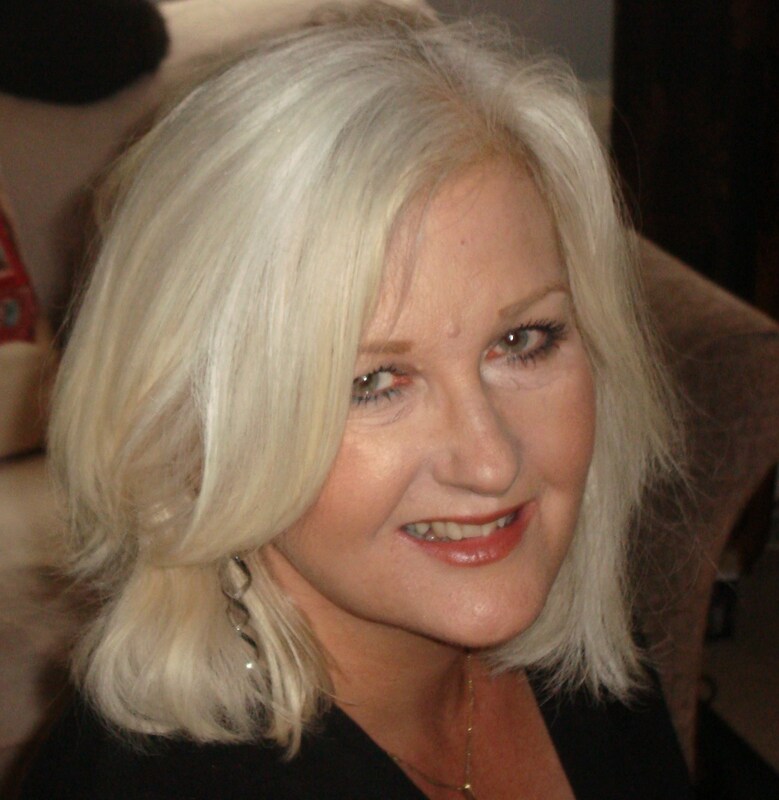 Currently working on her memoir, Stranger in a White Dress, she has been published in a variety of national magazines and two anthologies. Sherri raised her three, now adult children, in California for twenty years and today, lives in England’s West Country with her hubby, Aspie youngest, two cats, a grumpy bunny and a family of Chinese Button Quails. She keeps out of mischief gardening, walking and snapping endless photographs. Her garden robin muse visits regularly. You can find Sherri’s links of interest at the end of this post. Sarah says: I’m thrilled that Sherri has agreed to make a return visit to my blog as guest storyteller with a seasonal story to delight us all. Some of you might remember her Christmas-themed story Chocolate Umbrella from December 2014. This story received 54 likes and 79 comments, which was a fantastic response, considering my blog had about a quarter of the followers it does now! I’m guessing that Sherri brought along some of her fans with her, from her wonderful blog A View From The Summerhouse. In June 2015, we met up for the first time and got on so well, we’re now firm friends and try to get together as regularly as our busy lives permit. We also have long telephone conversations with each other, as we’re both very talkative. Grey, angry waves smashed into the pier. A gust of sea air whipped Piper’s hair into a salty slap across her face. A short walk to the beach had taken longer than she had anticipated, but she was wearing her new coat, and nothing was going to keep her indoors today. Especially not babysitting her brother. ‘Look what I’ve found,’ Max shouted as he skipped across the sand. Max stopped, looked down at his knees, and shrugged. ‘I don’t care. See, I found this!’ Piper stared at the dead starfish in her brother’s wet hands as she pushed her hands into her pockets. They climbed the stairs leading up from the beach and walked along the promenade, the wind catching their breath. Piper made sure to take the long way back through the side streets, wanting as many people as possible to admire her in her coat. When she had opened her present on Christmas Day, she couldn’t believe her eyes. It was just what she wanted, a blue, military style wool coat with brass buttons and red piping along the collar and sleeves. At twelve years old, all legs and no curves, she felt like a fashion icon in it. Heck, maybe even the up and coming new Twiggy. Piper and Max watched cartoons and when their father came home, he made beans on toast while he drank beer and made them laugh at his funny story about the starfish and his hermit crab friends. “I’ll be right back,” he whispered to Piper later as he kissed her forehead. “Keep an eye on your brother, I’ll be back in a jiffy…” Piper nodded with a half-smile, knowing it would be hours before he staggered in through the front door. ‘Nice coat,’ their mother said back home. ‘Surprised your father can afford such a thing…’ she trailed off. Piper didn’t know either, but she was happy prancing about the place in her beloved coat. One thing she did know: she wouldn’t breathe a word about her father’s late night visits to the pub. 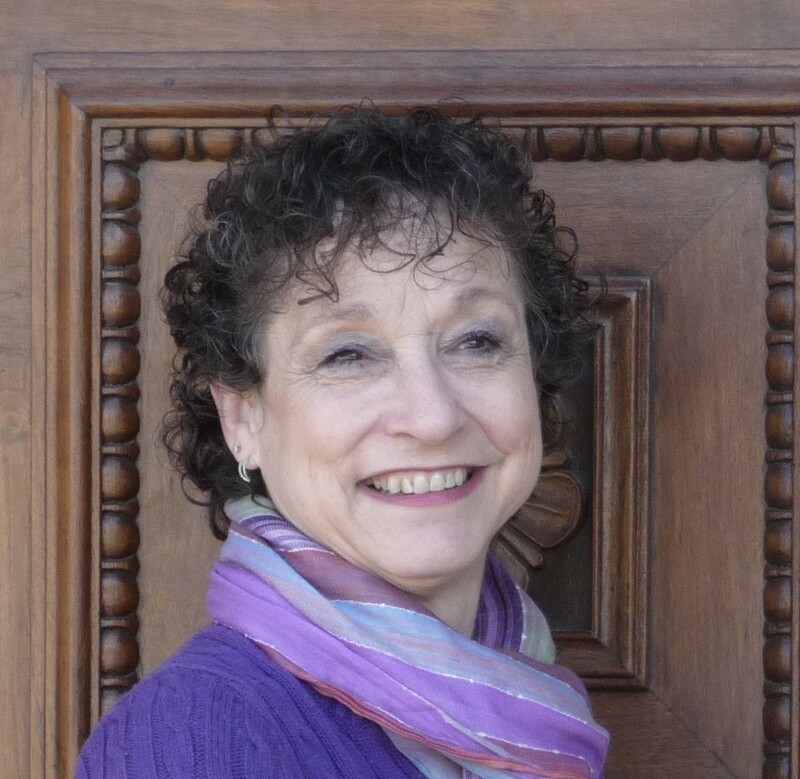 Kansas City native Rochelle Wisoff-Fields is a woman of Jewish descent and the granddaughter of Eastern European immigrants. 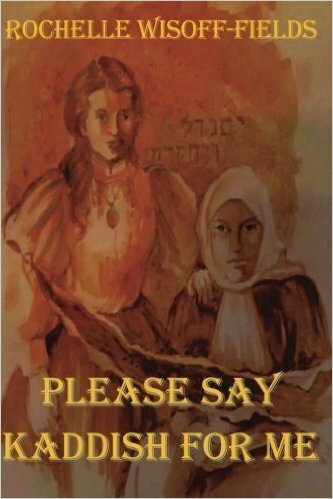 She has a close personal connection to Jewish history, which has been a recurring theme throughout much of her writing. Growing up, she was heavily influenced by the Sholom Aleichem stories, the basis for Fiddler on the Roof. Her novels Please Say Kaddish for Me, From Silt and Ashes and As One Must, One Can were born of her desire to share the darker side of these beloved tales—the history that can be difficult to view, much less embrace. She is also the author and illustrator of This, That and Sometimes the Other, an eclectic anthology of short stories. Before becoming an author, Rochelle attended the Kansas City Art Institute, where she studied painting and lithography. Her preferred media are pen and ink, pencil, and watercolor. 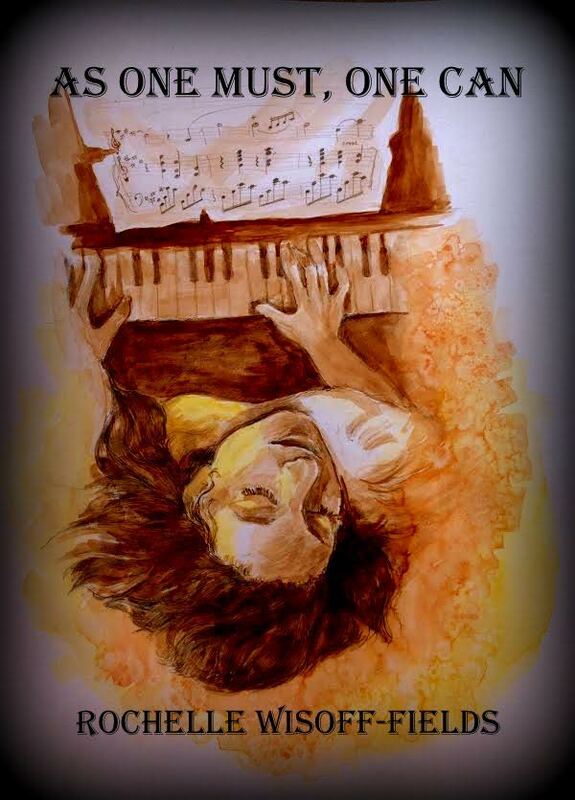 Her artwork is featured on the covers of her books and within them as well. Her coffee table companion book to her trilogy which will feature character portraits, A Stone for the Journey, is due out in the spring 2017. Rochelle maintains a blog called Addicted to Purple where she facilitates the internationally popular flash fiction challenge known as Friday Fictioneers. She and her husband, Jan, raised three sons and live in Belton, Missouri. 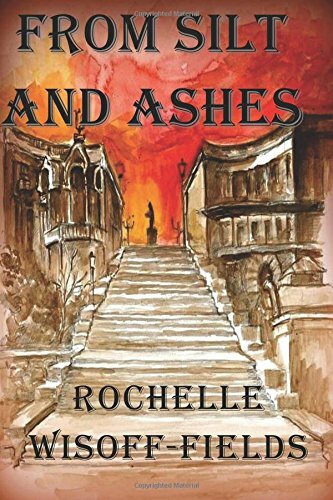 When she takes a break from writing and illustrating, Rochelle enjoys swimming, reading and dancing. 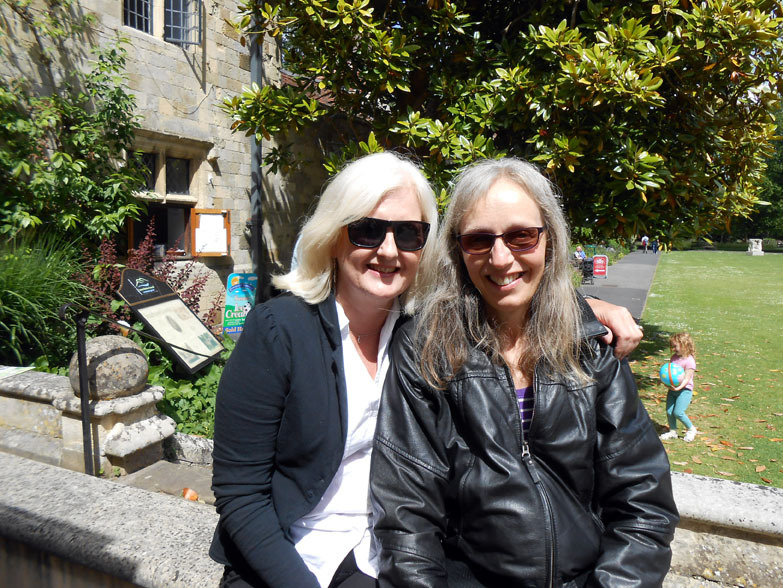 Sarah says: I’m delighted to welcome Rochelle to my blog as this month’s guest storyteller. I know her as a person of great talent, both on the writing and artistic front, and have read her two published novels, both of which I’ve awarded 5 stars (links to my reviews below, plus links to the books on Amazon). She’s also known to me for her inexhaustible commitment to running Friday Fictioneers on a weekly basis, which I can only imagine is a huge but rewarding undertaking. The splintered sign above the door hung by a single nail. The red paint boasting “Miller’s Burger Barn” had faded to pink. With his handkerchief Neil brushed a layer of dust from the window and peeked inside. The counter where he used to chow down on grilled cheese sandwiches and grease-laden Suzy-Q fries was piled with trash. Broken chairs littered the chipped linoleum floor. Hard to believe this ramshackle building was once the hub of youthful activity. He took a step back and stared at his mottled reflection. A spindly old man with thick-lensed glasses and stringy white hair returned his stare. His rumpled suit and skewed bowtie wanted for attention. He shrugged. What difference did his appearance make now? His mind backtracked to his senior year in high school. 1955. That’s when the Millers moved to town and opened the diner. Their curvaceous daughter Evalyne served up sodas and snacks three afternoons a week and all day Saturday. Every muscled athlete in school hung out there to compete for the pretty blonde’s attention. Neil didn’t stand a chance. Myopic and thin as a barber pole, he was a straight ‘A’ student and captain of the debate team. What chick would want to be seen with a square like him? While geometry was not her strong suit, she excelled in chemistry and biology—a goddess with a brain. For the next five years they studied together, sharing complex equations, chemical formulas and dreams. Like brother and sister. Music from inside the deserted building brought him back to the present. The Platters sang “Twilight Time.” Evie’s favorite. How could it be? It had to be in his addled, grief-stricken head. He pushed open the door. The air smelled of hamburgers and onions. He blinked and rubbed his eyes. Balloons and streamers hung from the ceiling. It was June 1961 again. The day of their college graduation. And not yet published but on its way, the last part of the trilogy!